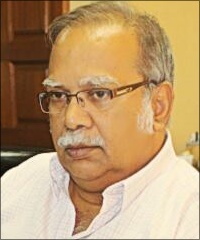 Not only did the Sri Lankan regime won the war against the Tamil liberation force, it might even win the propaganda war if the problems of Tamils in the island are exclusively focused on human rights to the neglect of the fundamental question of a long lasting political solution, commented Deputy Chief Minister of Penang state in Malaysia, Professor P. Ramasamy, told TamilNet on Monday. “Yes, human rights must be addressed, but in the larger context of the Tamil political question. It would make no sense just to address the human rights issues without factoring the political solution,” the longtime advocate of the rights of Eezham Tamils said. Focusing primarily on human rights might be an irritant to the Sri Lankan regime, but it may prefer it simply because it diverts the attention from the need of a political solution of Tamils, he further said. The UN sponsored initiatives and conferences are also important in that they obtain the support of the big powers, but then in the long run they have the tendency to divert from the primacy goal of addressing the Tamil political question, he said. Human rights are important, but political solution is fundamental for Eelam Tamils. It is nearly going to be ten years after the end of war, there is little or no progress in terms of re-settling those displaced, returning lands seized by the armed forces, accounting for the thousands disappeared during the war and extending to those women who were raped. These are human rights concerns which should be relentlessly pursued. But where is the question of political solution of Tamils? If these human rights problems could be resolved will it mean that Tamils would cease to be problem to the Sri Lankan regime? Are these human rights issues independent of the Tamil national question or are they inextricably related? In fact, there is little or progress on the numerous human rights matters of the Tamils in the northeast of the island. Apart from the occasional outbursts of Sri Lankan leaders about the need to maintain the present unitary form of state and that federalism might be not conducive to the minorities, there is nothing substantial in the way of resolving the long-standing Tamil national question. The central issue in the Tamil national liberation struggle was not just the question of human rights but the fundamental question of a political solution for Tamils in the form of separate homeland called Tamil Eelam. The more than three-decade armed struggle waged by the Tamil Tigers ended in 2009, but the question of a political solution for the Tamils remains unresolved. While some domestic Tamil political parties have literally sold out the interests of Tamils, the huge Tamil Diaspora wants the political question to be settle. The phase of the armed struggle is over. But surely there are other forms of political struggles that can be pursued to resolve the political autonomy of Tamils. Armed struggle is not the only option. I am not suggesting that the Tamils and others who support their worthy cause abandon the pursuit of human rights, but what is important is that the pursuit of human rights be situated in the larger political context. It is not that Tamil Diaspora is not aware of this problem, but then they have be reminded of this nexus from time to time. Whether the Tamils in the northeast accept the present unitary form of government or a federalism or even a separate state, surely, they must be given the democratic right to decide their future. Such a right cannot be denied to Tamils because it has been extended to other nationalities especially in the developed countries.